Haiti has identified how much foreign aid it needs for post-hurricane relief and recovery efforts, at least for the country’s agriculture sector. The government and the U.N. Food and Agriculture Organization appealed Nov. 6 for $74 million. It will be used for food security programs for some 600,000 people and other initiatives geared toward rehabilitating Haiti’s agriculture sector. Of the appeal, $4 million is urgently needed to address the needs of 20,000 families as winter approaches, FAO said. This is not likely the last appeal to come from Haiti, whose prime minister officially requested international assistance on Nov. 4 without indicating an amount. 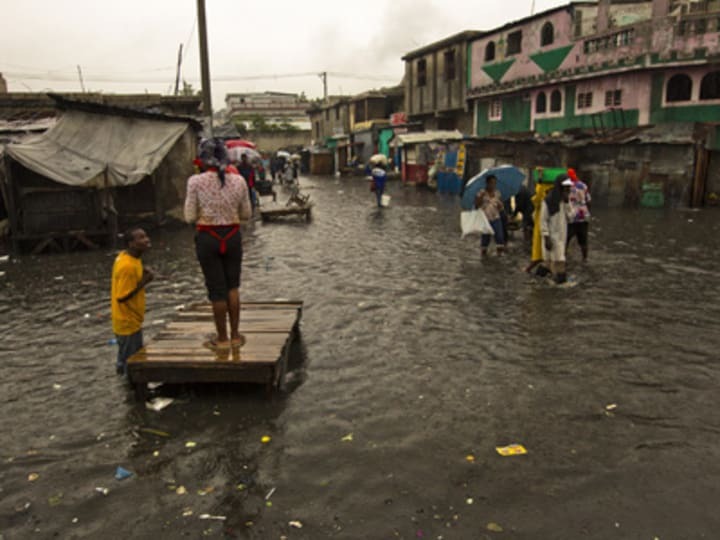 Haiti was among the hardest-hit when Hurricane Sandy passed through the Caribbean before heading to the U.S. East Coast, where it also caused severe destruction. The U.N. estimated that up 1.8 million Haitians were affected, many of whom were still recovering from the aftermath of the 2010 earthquake. According to FAO, some areas in the Southern, Southeastern and Grand’Anse departments remain largely isolated due to massive destruction of roads and other infrastructure. FAO said it will conduct helicopter surveys alongside the World Food Program and U.N. Office for the Coordination of Humanitarian Affairs. WFP, meanwhile, said it will distribute monthlong food rations in another hurricane-affected country in the Caribbean: Cuba. The aid is expected to reach some 500,000 people in Santiago de Cuba, one of the hardest-hit regions in the country. WFP said the food distribution initiative will be conducted in coordination with the Cuban government.